Cartesian Coordinate Plane: how we navigate 3D Space by use of a grid and X, Y, Z axis. 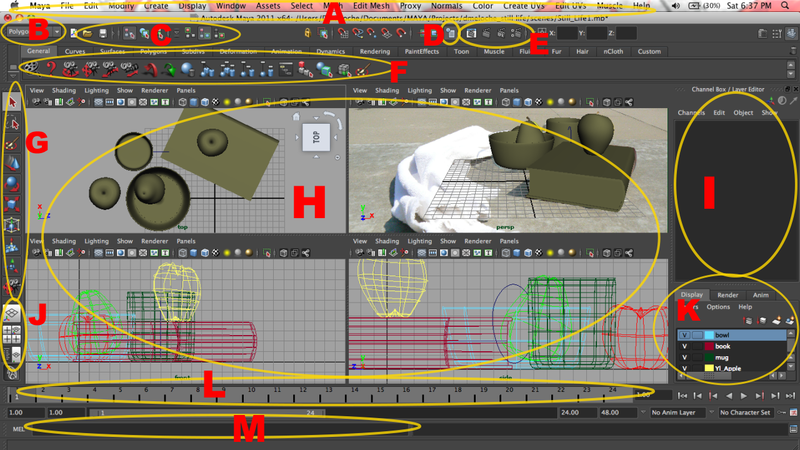 The Four Functions of Maya: Animation, Modeling, Dynamics, Rendering! Three Modes of Operation: Hierarchy, Object, Component To Access the “Outliner”, itʼs located under “Window” along the Menu Bar.